The PEUGEOT RCZ has been awarded the ‘Best Used Sports Car’ title by Diesel Car & Eco Car in the ‘Used Car Top 50 2019’ list for a second year running. Victory in the ‘Best Used Sports Car’ category comes alongside a 14th overall placement for the PEUGEOT RCZ in the Diesel & Eco Car ‘Used Car Top 50 2019’ list. 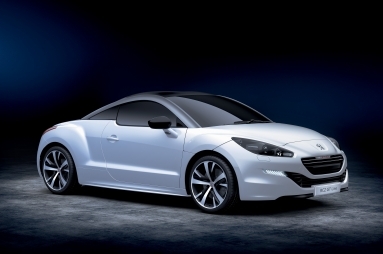 Produced between 2010 and 2015, the PEUGEOT RCZ quickly developed a cult following with its distinctive ‘double-bubble’ roof and stylish yet practical interior, with comfortable sports seats and rear seats which folded down to provide a spacious boot. The PEUGEOT RCZ was launched with three engines, including one 161hp diesel engine, capable of taking the model from 0-62mph in 8.7 seconds. Recognition also came for the PEUGEOT 308, named among the ‘Diesel Car & Eco Car Used Car Top 50 2019’ list for a second year running, in 46th place on the overall list. Diesel Car & Eco Car measure success for a model featured on their ‘Used Car Top 50’ list by considering a number of factors including: purchase price, residual value, general competency and fitness for purpose, as well as being judged by their expert panel. Each vehicle considered is then given a score out of 10 that decides their final placings. PEUGEOT is committed to helping drivers get their hands on the best available used cars with ‘PEUGEOT Approved Used Vehicles’, a network of 151 Dealers across the UK. Every PEUGEOT Approved model includes a 112 point pre-delivery vehicle inspection, minimum 12 months PEUGEOT approved warranty, 24/7 PEUGEOT assistance in case of breakdown, 30 day/1,000 miles fault based exchange programme and full history check.